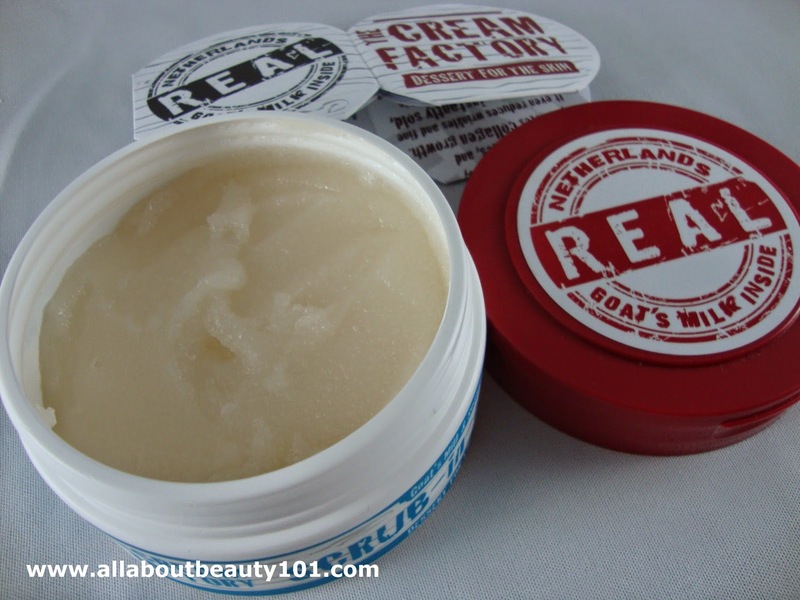 Finally, I had the chance to try this much coveted Scrub-In-A-Tub by Cream Factory. Ever since I tried my first bottle of Cream Factory Body Wash, I wanted to try all of their products. I exfoliate dead skin cells on my skin once to twice a week and sometimes with a body scrub on spas. I got the salty type scrub from Because Incorporated. 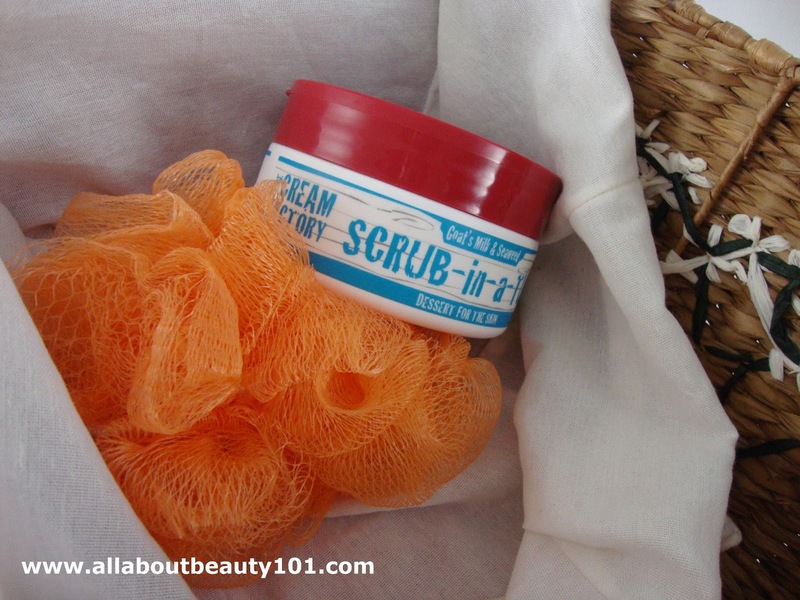 Originally, there are three kinds of scrubs from The Cream Factory, these are the Salty, Yummy and Creamy. The Salty contains salt crystals while the Yummy contains cocoa bean bits and the Creamy contains walnut sprinkles. The Salty crystals is the most that can deeply exfoliate the skin for smooth, soft and clean feeling while it still maintains the moisture and nourishment through the Goat's milk content. Goat's milk contains high amount of protein that is helpful in tissue repair thus making skin healthier. It comes in five variants: the Avocado, Jojoba, Lavender, Witch Hazel and Seaweed. I got the Seaweed with fragrance that reminds me of babies, because of the powder like scent. Seaweed is mainly composed of minerals and antioxidants. It helps detoxify the skin to flush out toxins. Besides detoxification, because of the high content of minerals, it fights free radicals to maintain the youthful skin. Thus it also revitalizes and fights skin aging. One tub of this is 9.5oz. The salts are fine but can deeply exfoliate. "Product Description: The Revitalizing Salt Scrub. Rub-a-dub-dub... time for a scrub! Scrub-in-a-tub deeply exfoliates your skin with a blend of nourishing Goat's Milk from the Netherlands and rock salt crystals. Seaweed helps revitalize and invigorate to energize you throughout the day. For external use only. Don't try to eat this stuff. 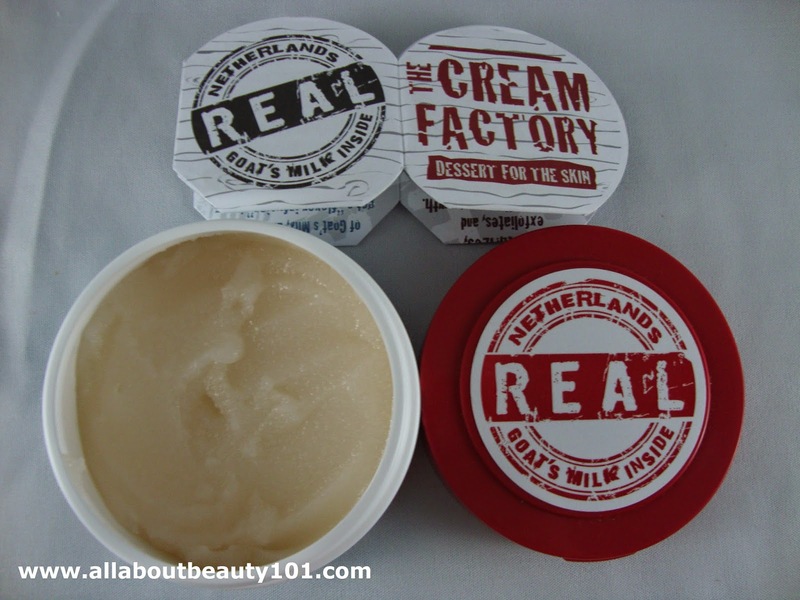 Ingredients: Sodium chloride, Glycerin, Cera Alba, Disodium Laureth Sulfosuccinate, Cetyl Alcohol, Cocoa Seed Butter, Cocamidopropyl Betaine, PEG-40 Hydrogenated Castor Oil, Sodium Lactate, Fragrance, PEG-7 Glyceryl Cocoate, Seaweed Extract, Goat's Milk, Triethanolamine, Hydroxypropyl Starch Phosphate, Tocopheryl Acetate. The bad stuff we left out: Free of phthalates, formaldehyde, mineral oils, and toxic petrochemicals. 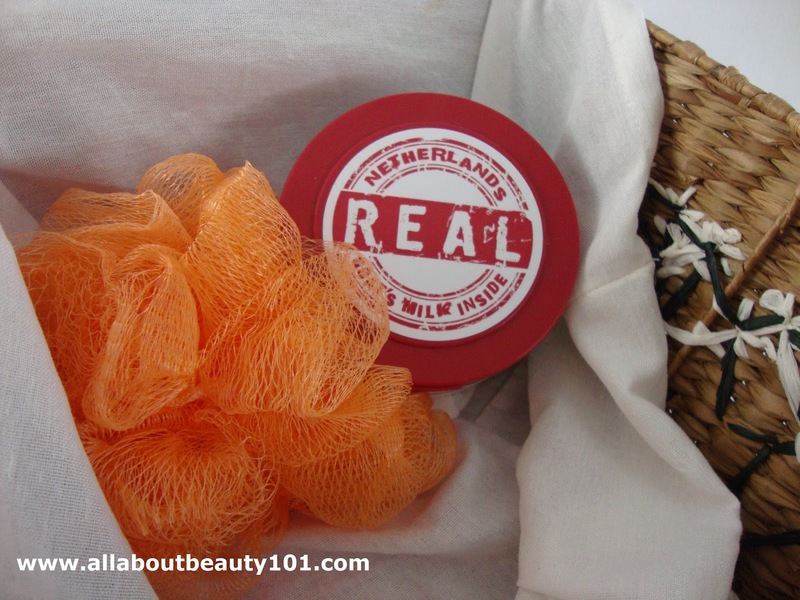 No added parabens. Directions for fun: Flip the lid. Scoop out as much as you want. Scrub and rub away all the day's grime. Rinse off with water. 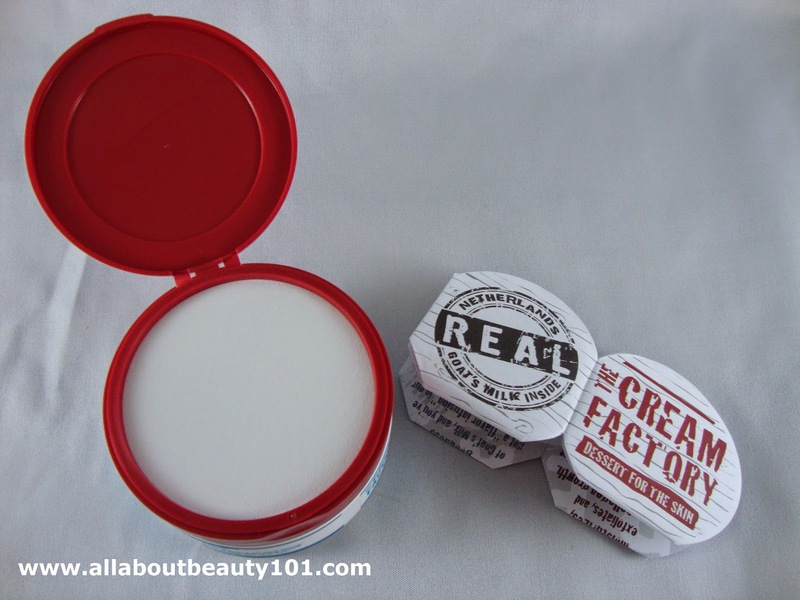 For more fun, treat yourself to the Cream Factory bath cream too!" What are you waiting for? Join me in this invigorating bath revolution with the Dessert For The Skin that I cannot seem to get enough of! Experience the fun in showering and bathing! Go ahead and give in!